Getting to Iceland by sea is an easy and enjoyable way to travel with services available via Smyril Line Ferry and the numerous cruise ships sailing to Iceland. Travelling with the Smyril Line Ferry is a unique opportunity to rest and socialise during the crossing of the Atlantic to the North. This wonderful form of travel allows you to bring your car, motorcycle or caravan with you to enjoy on your holiday in Iceland. The ferry operates a weekly summer service from Denmark, stopping in the Faeroe Islands and Seydisfjördur – a picturesque fishing village on the east coast of Iceland. Note that this service is limited during the winter months. Iceland has also become one of the most popular cruise destinations in the North Atlantic. 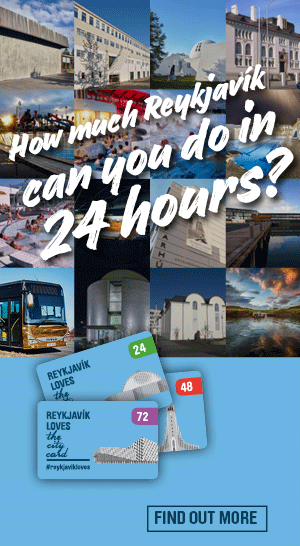 Most of the cruise ships sailing to Reykjavik are on itineraries from Europe or North America. Sjóferðir H & K ehf.